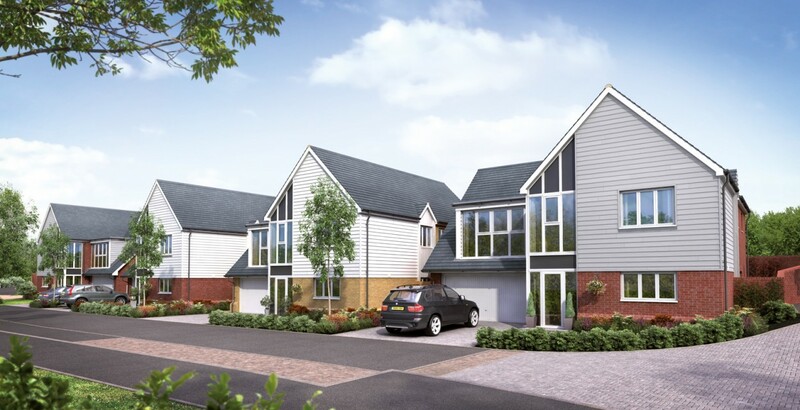 Pentland Homes appointed Influence to assist them in fulfilling planning conditions for an approved residential development in Ashford, Kent. 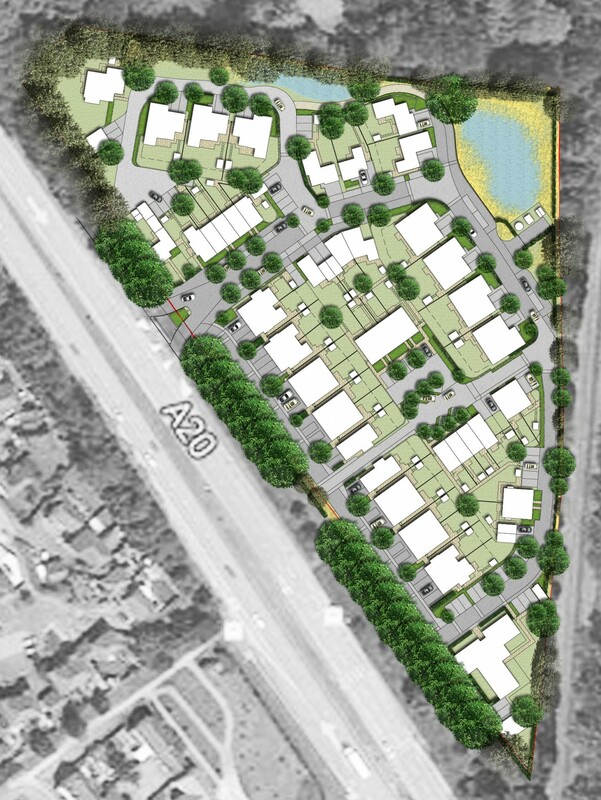 In preparing our Masterplan and Detail Landscape Design, we had to consider the site’s sensitive location, near a Local Wildlife Site (LWS) of significant ecological value. Our aim was to assist in creating a distinctive development that responds to the inherent qualities of the site, celebrating its strong sense of place. To achieve this, our proposals enhance and protect local biodiversity whilst providing a balance between traditional architecture and contemporary residential units facing Maidstone Road. 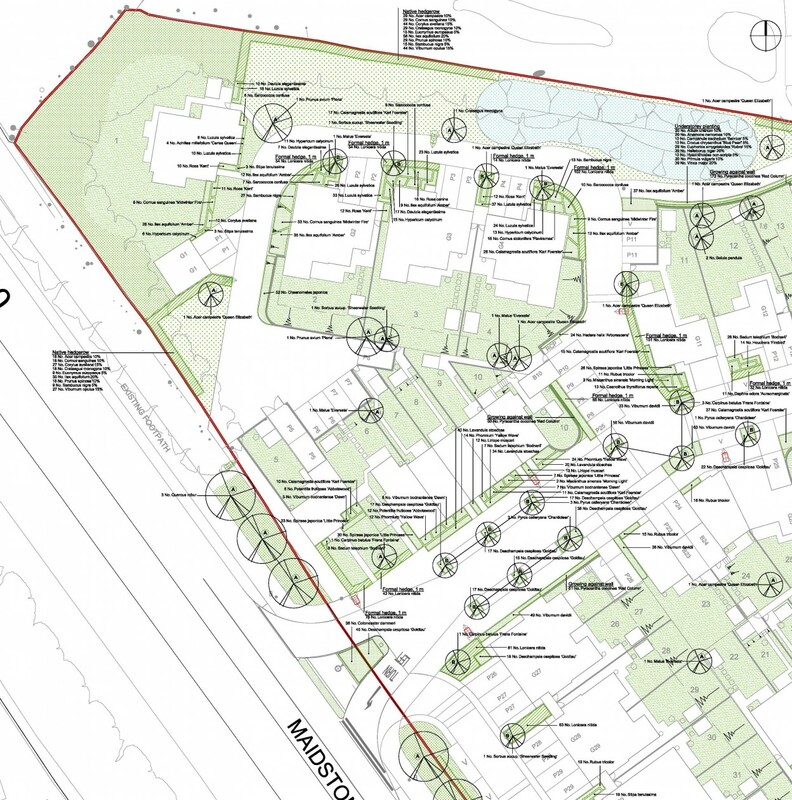 A variety of planting types have been selected to complement the different architectural styles on the site, while a SUDS (Sustainable Urban Drainage Systems) strategy will connect the site to newly created wetlands and existing wildlife corridors. Key design objectives include active frontages, with new trees and taller contemporary buildings on Maidstone Road shaping a memorable environment with a strong landscape structure.